Thanks to advances in robotic technology, scientists have been able to study a massive "dead zone" in the Arabian sea - a region with so little oxygen that virtually nothing can live. Scientists began to observe the oxygen-starved zones in the 1970s - which naturally form in the deep sea, but are also found wherever excess nitrogen and phosphorous-based fertilizers run off into coastal waters. By one account nearly 8-12% of the nitrogen fertilizer applied worldwide is lost from fertilized fields and transported to the sea. In some individual fields, the value can be as high as 50%. 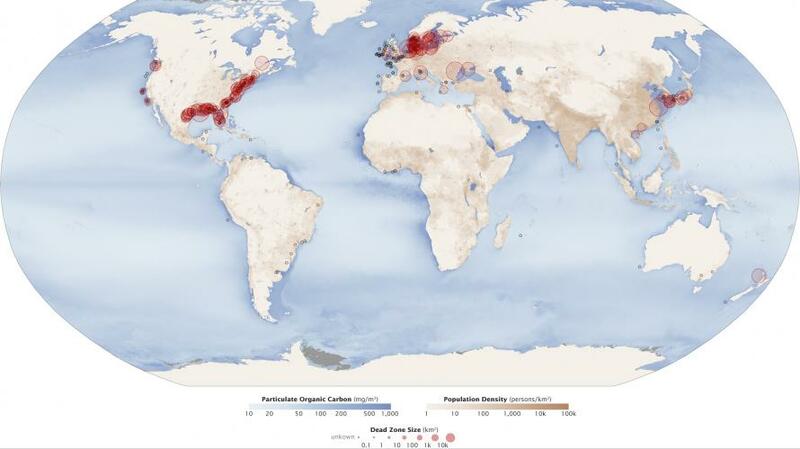 By 2008, 405 dead zones - also known as Oxygen Minimum Zones (OMZ) had been identified by Sweden's Göteborg University. 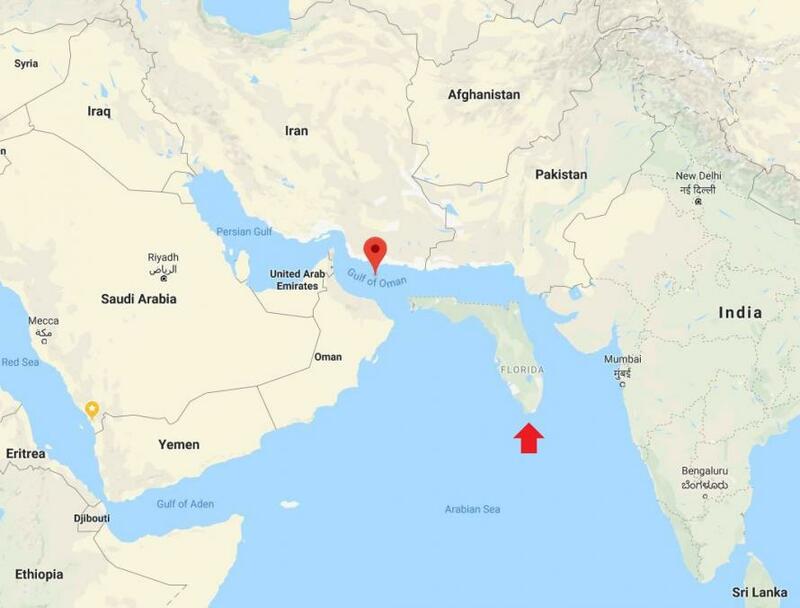 New research from the University of East Anglia (UEA) has confirmed that the Gulf of Oman dead zone - floating in the strait bordered by Iran, Pakistan, Oman and the UAE, is indeed the largest in the world. That's not all... it's growing. 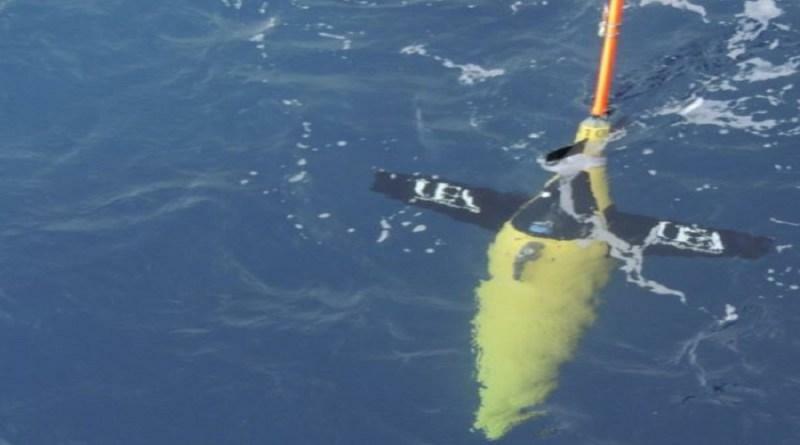 Two robot submarines called Seagliders, each around the size of a small human diver, were able to collect data for eight months in parts of the Gulf of Oman previously unable to be monitored due to concerns over piracy and geopolitical tensions. “We barely have any data collected for almost half a century because of how difficult it is to send ships there," said lead researcher, Bastien Queste. What they found was stunning; since the 1990's, the gulf's dead zone has undergone "a dramatic increase" in both size and severity, and is now made up of entirely of low, or no-oxygen waters also known as suboxic or anoxic conditions respectively. "Our research shows that the situation is actually worse than feared. The area of dead zone is vast and growing. The ocean is suffocating," Queste said in a statement. "All fish, marine plants, and other animals need oxygen, so they can't survive there. It's a real environmental problem, with dire consequences for humans, too, who rely on the oceans for food and employment." Aside from their impact on sea life, dead zones also affect the atmosphere, as the absence of oxygen dramatically changes the chemical cycling of nitrogen - a key nutrient for plant growth. Nitrous oxide, a greenhouse gas 300 times more potent than C02, is instead produced, said Queste. What the team found was that the dead zone moves up and down between seasons - forcing fish to live in a thin layer near the surface. “Management of the fisheries and ecosystems of the western Indian Ocean over coming decades will depend on better understanding and forecasting of oxygen levels in key areas such as the Gulf of Oman,” added Dr Queste. And as Earth's population grows, so will agricultural output - which will only worsen the problem. What's the solution? According to Duke University's William H. Schlesinger, dead zones can be mitigated from a "more judicious use of fertilizer, so that the largest percentage of it is assimilated by the crop plant of interest." He notes that we "need to treat nitrogen and phophorus in human and animal wastes as a resource to be recycled, not an unfortunate byproduct to be disposed.